Homeowners need to use appropriate and effective mosquito control methods, not only to appease neighbors and keep their own yards comfortable but to protect people from disease. Georgia had 12 cases of serious illness resulting from West Nile Virus last year. One ended in death. Mosquito control is not just an available luxury for those in the South. Court cases have supported the responsibility of homeowners to keep their property safe. This includes pest control. This means if one of your neighbors—or heaven forbid, one of their children—were to come down with West Nile, you might be held responsible if your property isn’t well-maintained. At the same time, putting mosquito control methods in place to control mosquitos also protects your own family. You stay free of nuisance bites and itching and stay safely free of serious diseases. And, it’s fairly easy. 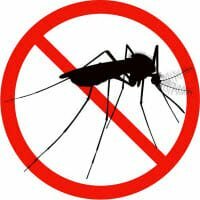 Spring is the perfect time to begin mosquito management before the eggs that have stayed dormant over winter have a chance to hatch. Unfortunately, you can’t maintain a barrier around your property to prevent new bugs from arriving and laying eggs. You can minimize the chances of that happening by making your yard an unattractive place for mosquitos to stop. 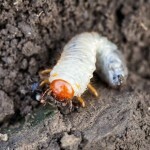 However, nothing will guarantee an absence of bugs except regular treatments throughout the warm months. There are dozens of species of mosquito found in Georgia, and their lifecycles differ slightly from one to another. Some varieties will live for only four days while others live for 30. Gestation can differ from immediate hatching of an egg to several days or overwintering. To provide enough coverage, many professionals treat lawns with mosquito control methods on a monthly basis. This way, they can eliminate the bugs before they enter the adult feeding stages when spreading disease becomes a real risk. The other major factor in mosquito control is limiting sources of stagnant water and ever-damp soil. That’s because these are the prime conditions needed for laying eggs. Empty swimming pools, planters, clogged gutters, leaking outdoor faucets and ponds with broken pumps are all common sites for mosquito breeding. Cleaning the up regularly is key to prevention. No one enjoys wearing pesticides, but recent research has turned up a number of natural mosquito repellants that work very well. Catnip oil, for instance, is much more effective than even DEET, and it’s highly economical as only a few drops are needed. Just mix with a carrier oil, like sunflower, and dab some on before going outdoors. Taking a tablespoon of apple vinegar in a glass of water, and supplementing with vitamin B1 have been proven to make you less tempting to all biting insects. In fact, changing your diet to one containing less sugar makes you less of a target all by itself, and it provides additional health benefits. Protecting yourself against mosquitos isn’t just a matter of staying comfortable. It could protect you from serious diseases, and the first place to start is at home. 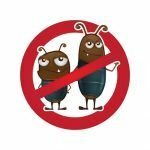 Find a way to manage pest growth on your property with the most effective mosquito control methods. You’ll enjoy a warm season full of enjoying time outdoors and limit your liability should the worst happen. Have questions about the best mosquito control methods for your yard? Now’s a great time to get answers. Just Think Green and call (678) 648-2556 today.